Add style to yourFreedom Edition JK Wrangler with a Jeep star decal by Mopar. This military-style decal is designed for the driver's side of the hood, but its sticky, self-adhesive backing will affix to any flat, clean surface. This large, easy to apply decal is the perfect finishing touch to your Freedom Edition. 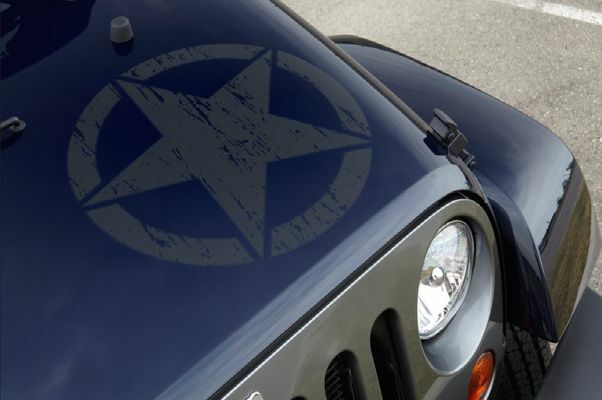 Mopar factory Star Hood Decal found on the Freedom Edition JK Wrangler. Decal is about 20" in diameter.